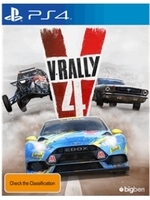 We were sent a PS4 copy and an Xbox One copy of V-Rally 4 last week, which gave us the time to capture a pretty good number of videos of the game. The PC version will only be released at the end of the month. ALl the PS4 Pro footage was recorded while playing with our Fanatec CSL Elite for PS4 and the CSL Elite pedals. On Xbox One X, we decided to use our Xbox One Elite gamepad even though we also had an Xbox One rim to make the wheel compatible with the console. We thought it was also important to show some gamepad gameplay as that's how most of you guys play. doesn't look like the best thing in the world, but i like that it seems to be a much more approachable arcady rally title. 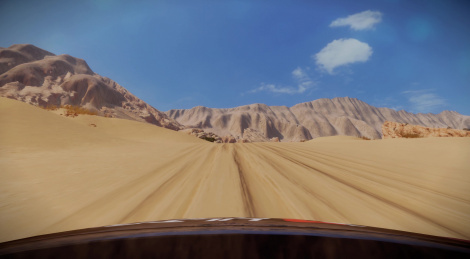 dirt rally is great and all, but sometimes i don't want the worry of failure looming over me every second. it doesn't look bad... I like that roads are uneven, bumpy and in some cases tight. I wonder how much into sim it can go.